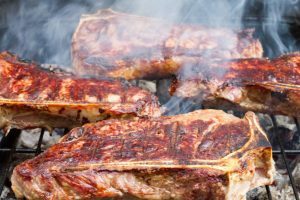 When it comes to indoor grills, you can find plenty of options in the market. 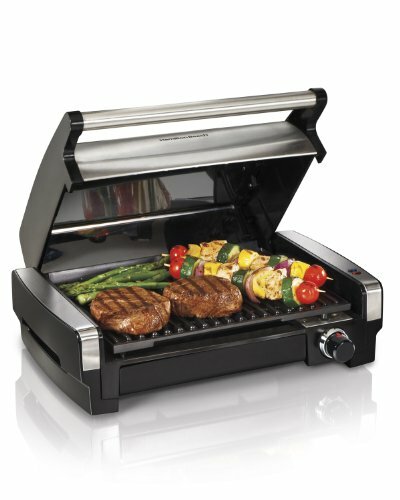 However, a few can match the performance and convenience offered by Hamilton Beach 25360 indoor grill. This is an appliance which should be present in every kitchen. 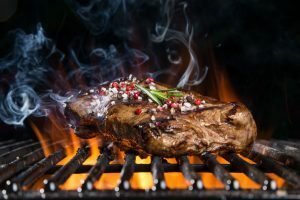 Though nothing can match the flavor of the food cooked on an outdoor grill, it is not possible to make outdoor grilling when you are staying in high-rise apartments or condos. 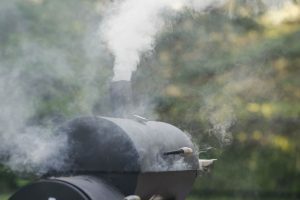 It is not possible for the people living in apartments to stock the charcoal or wood needed for using outdoor grills. 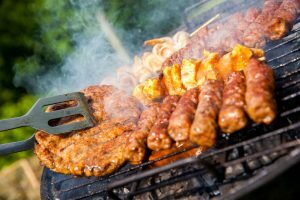 There is no way you can use outdoor grills when the weather is very cold or raining outside. This small searing grill from Hamilton Beach delivers the outdoor grill results even though it is designed for indoor use. This product comes with various functional features like a removable hood, large sized drip tray and dishwasher safe grill plate and drip tray. This offers ease of use and convenience while grilling the food indoors. 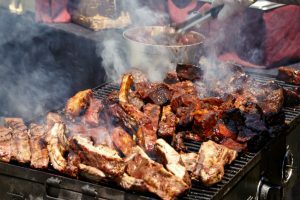 Most of the people avoid grilled meat as it becomes hard and leather like when cooked on electric grills. However, this searing grill keeps the meat moist and tender when cooked according to the instructions. The cleanup job after grilling is made easy with the removable and the nonstick grid of the grill. This is a countertop grill perfect for cooking food for a small family. You will be able to grill meat, fish and vegetables and cook up hotdogs, hamburgers and sandwiches for your breakfast lunch or dinner easily. The ability to set different temperatures helps to cook even tender food items like tuna with perfection. If you are looking for a grill which will provide you with moist, delicious and flavorful meals, then this Hamilton Beach 25360 Indoor Grill is the best product you can find. 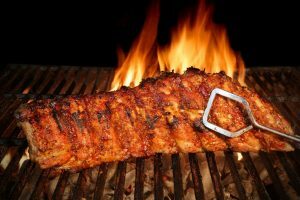 The overall appeal of the grilled food will be increased by the perfect grill marks created by this searing grill. Food cooked on this grill will look more appetizing and healthy. It is easy to connect and start using this product as comes fully assembled and it requires only the standard current used in the household. The owner’s manual included in the package helps to get all the information needed for using this product efficiently and safely in your kitchen or balcony. Maintaining the equipment is easy as it comes with a non – stick coating. The lid helps to maintain the temperature and cook food easily and evenly. This is an appliance which is a result of good thinking and hence offers functionality and style. 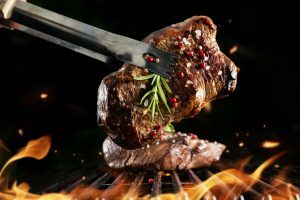 There are different high-quality grilling products available from online shopping sites and making a comparison of different products before you purchase the grills give you the chance to select the ideal one for your need. Cuisinart GR-4N 5-in-1 Open/Contact Griller/Griddler and NutriChef PKFG14 Contact Electric Grill are compared here with Hamilton Beach 25360 Indoor Searing Grill. Though all have almost similar features, they also have minor functionality glitches. The cooking process of Cuisinart GR-4N and NutriChef PKFG14 is not as fast as Hamilton Beach 25360 Grill. Hamilton beach is very compact and grills food with great taste when compared to the other two brands. The Cuisinart model turns on and off very often while cooking and the instructions for using NutriChef PKFG14 is a bit confusing. The biggest advantage of Hamilton beach 25360 Grill over the other brands is that it is cheaper than the other two models. If you are looking for a smaller countertop grill with all the necessary functionality to provide best grilled food, then you can opt for the Hamilton Beach model. You will be able to save a few dollars and enjoy great grilling with this product. Other products may have features like 5 in functionality and built in filter, but these features will not be very important if you cannot get the best-flavored food with this product. If you are looking for electric grills which are priced under 100$ and which offers the best tasting and attractive grilled food with perfect grill marks, then Hamilton Beach 25360 Indoor Searing Grill is the best choice. 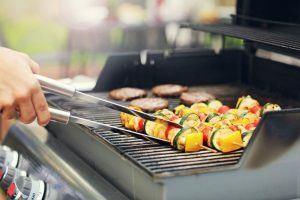 If you have a health-conscious small family and you are living in an apartment where you cannot opt for outdoor grills then you can opt for this convenient and durable product for any grilling need. You will be able to cook 4-5 small steaks at a time on this small grill. All the flavors will be locked inside the grill with the lid. 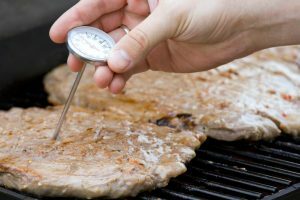 The maximum temperature of 450° F helps to sear the meat the ideal way. You can understand when the grill has reached the perfect cooking temperature with the help of the preheat light. Any grill lover who wants to get the effect of an outdoor grill on food using indoor grills can buy this amazing product from the well known brand. This is a perfect product for easy cooking for 2-3 persons. Buy this product if you want to grill your food items the right way.